Are you ready to get more functionality from your ATS and HCM? Look no further than CEIPAL, the JobDiva alternative that lets you get deeper insights and more customizable data. 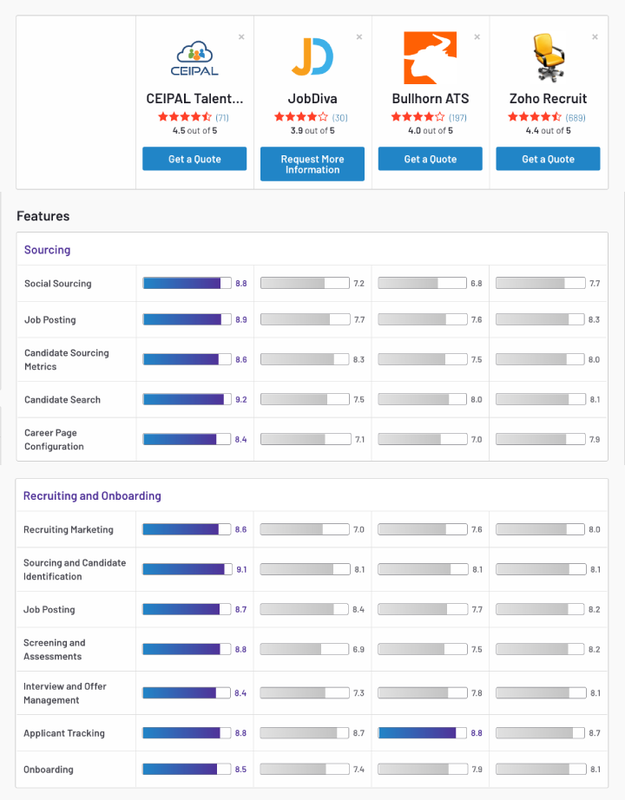 Still not sure that CEIPAL is the best replacement for JobDiva? We’ve tried it, along with CATS, Bullhorn, and dozens of other platforms to assist with talent and workforce management, only to realize that they either lacked essential features or simply cost too much. That’s why we made CEIPAL, to offer everything a company would need in one platform and at a competitive price. Why Choose CEIPAL over JobDiva? CEIPAL and JobDiva both offer robust applicant tracking systems, human capital management, onboarding, and more. The difference? CEIPAL costs a quarter of the price and gives you extra functionality in terms of customization, reporting, and even customized reporting. So why pay more and get less? Switch to CEIPAL today. We understand that attracting and hiring top candidates is tough, which is why CEIPAL makes every effort to help recruiters find the best possible applicants. That’s why CEIPAL integrates with the top social media platforms, to help you get your job post in front of more eyes across more channels. Meet applicants where they’re at with CEIPAL’s social integrations.